Tourists are eager to visit Switzerland as it fascinates them as a tourist spot as there are several picturesque spots to visit, particularly the Alps. 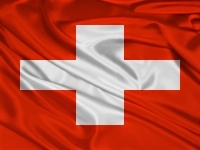 Before setting out, one must get hold of Switzerland Visitor Visa or Switzerland Tourist Visa. To familiarize oneself with visa procedures, one must get to know about tourist visa requirements.